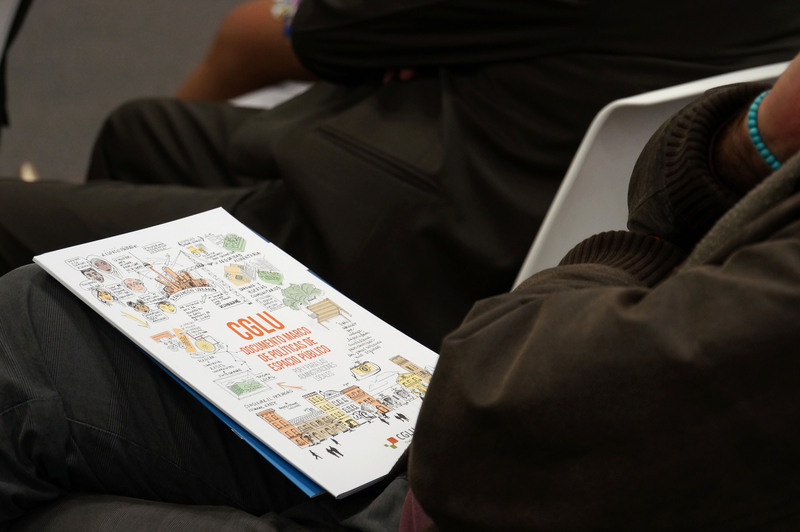 The Networking Hub within the Summit of Local and Regional Leaders in Bogotá became the perfect platform for the launch of the Public Space Framework by and for Local Governments. Sibusiso Sithole, the City Manager of eThekwini Municipality, Cézar Busatto, head of the Secretariat for Local Governance of the City of Porto Alegre and Miguel Uribe Turbay, Government Secretary of Bogotá were in charge of the presentation of the framework, while Adrian Michael Peters, Chief Strategy Officer of eThekwini Municipality moderated the event. During the launch, participants were reminded about the important role of local governments in relation to public space, as the well-being of all citizens, including vulnerable groups, depends on the influence of the immediate surrounding environment. Therefore, public spaces are a common good, a public asset of high value with a direct impact on the quality of life of all citizens. Building on this responsibility, urban policies should be developed at the local level to address people’s needs. Another highlighted topic during the launch was the critical role that local governments will play in achieving the Sustainable Development Goals – SDGs. In 2015, the role of public spaces in sustainable development received unprecedented recognition by the international community by including public spaces as the target 7 of SDG 11 on Sustainable Cities and Human Settlements. Beyond the recognition in target 7, public space is a key component to achieve a number of the other SDGs such as 3, 5, 6 and 13. Localizing and implementing all the SDGs, with special emphasis on SDG 11, will depend on local governments across the world and the support offered to them. To further develop the global discussion on public space, the UCLG Committee on Urban Strategic Planning developed the Public Space Policy Framework for and by local governments. The document was developed through intensive engagement sessions between the UCLG Urban Strategic Planning Committee and its partners. The framework incorporated lessons of learning exchanges in Durban, Porto Alegre and Blantyre, sector specific engagements, engagement with key strategic partners, activation and advocacy at key global events highlighting the importance of public space. The purpose of this framework is to assist and guide local governments in implementing localized urban policies on public space and to deepen the understanding of local government’s role and responsibilities in public space development. Through this journey, the Committee and its partners are advocating for public space to be a strategic component of city development and as such this framework provides cities with an opportunity to develop their own public space policy. During Habitat III celebrated in Quito, Adrian Michael Peters, Chief Strategy Officer of eThekwini Municipality, together with Maria Regina Rau and Puvendra Akkiah, technical chairs of the UCLG Committee on Urban Strategic Planning and Nadime Yaver director for the Office of Public Space Ombudsman (Defensoría del Espacio Público) of the city of Bogotá presented the UCLG Public Space Policy Framework in the micro-urban intervention/pop-up public space organized by the UN-Habitat Program on Public Space in the El Ejido Park in Quito. The presentation of the framework in the pop-up public space aimed to encourage civic debate and dialogues with a broader and more diverse audience. UCLG will pay attention to the implementation of the policy framework and the opportunities around public space. The city of Bogota through the Public space office, will support UCLG by articulating this initiative. ALL LOCAL GOVERNMENTS CARE ABOUT PUBLIC SPACES, SHARE YOUR EXPERIENCE!